Emotions were high at City Hall during Tuesday’s City Council meeting as members tabled the creation a new utility advisory committee in a 3-2 vote and despite a wealth of public support for the proposal. Celia Shortt Goodyear/Boulder City Review Councilwoman Peggy Leavitt discusses waiting to move forward with a proposed utility advisory committee during the City Council meeting Tuesday while Councilman Warren Harhay looks on in disagreement. Councilman Warren Harhay suggested the idea of an advisory board to assist the utility department and provide information and recommendations to council after a 2017 town hall meeting where Boulder City residents and ratepayers expressed growing concern over increasing utility costs. The proposed committee would have no policy making powers and its activities would include the study of critical utility-related issues, taking public testimony, performing independent research and reviewing staff reports and recommendations. Council would need to determine how many members the committee would have, what members’ qualifications would be and if it would report to them or staff. “We have an airport advisory committee that oversees $750,000 for the airport yet we don’t have one for the approximately $38 million utility fund,” Harhay said at Tuesday’s, Oct. 9, meeting. He said the council should address the question of whether establishing a committee is in the best interest of ratepayers and citizens of Boulder City, and he would like some sense of the council moving forward with it. Mayor Rod Woodbury said he could not vote on something with no form because it could end up being good or bad. “I don’t think it’s irrelevant for me to want more information on this,” he said. Included in the supporting materials for Tuesday’s meeting were documents submitted by Harhay and a sample draft ordinance from Councilman Kiernan McManus. Residents came to the meeting to show their support for a utility advisory committee. Alan Goya, Historic Preservation Committee chairman and resident, said he supported the idea because it is an important way for people to get involved in the community and for them to interact with city staff as well as helping build awareness about how the city works. Resident Adele Sherwood said she hoped all the council members would approve creating the committee. “It’s certainly warranted with all of our complex utility issues,” she said. “This would do nothing but enhance communication,” said resident Deborah Finnegan. McManus said the proposed committee would also help council members gather information. “I think it’s very important that we get other sources of information available to council,” he said. Additionally, he said council members can ask the city manager and staff for assistance, but staff isn’t required to fulfill their requests. “What I’m asking when we form these committees is that we have a group of citizens who are independent of city staff and they will use their expertise to provide their input to us,” he said. City Manager Al Noyola said that idea concerned him because the city charter allows for Boulder City to have a council/city manager form of government. McManus said the city charter does allow the council to create committees as needed. “We’re saying we would like a citizen committee to advise this council and help us get through all of the information we need to get through,” he said. During the discussion, some council members expressed a desire to wait on establishing the proposed committee. Councilwoman Peggy Leavitt said the new utility director should be involved in how the committee is formed. “This is a big deal and we need to get it right,” she said. Woodbury said he applauded the idea of the committee and agreed with Leavitt about waiting for the new utility director. Woodbury motioned for the topic to be tabled until after the new utility director starts work, which Noyola estimated to be in two months. Harhay disagreed with the motion stating it is easy to say no to something and even easier to put it off. Per Noyola’s suggestion the motion was amended to allow creation of the committee be tabled until 90 days after the new utility director begins work. Council members Harhay and McManus voted against the motion. ■ Approved changing city code to move the municipal election cycle to align with state and federal primary and general elections in June and November of even-numbered years. This move will save the city a minimum of $40,000-$50,000 per election. It would only incur extra costs only if there were municipal ballot questions requiring extra pages in the sample ballots. ■ Approved a resolution that repealed the Golf Course Green Committee. City Clerk Lorene Krumm said the committee will be replaced by an administrative group that will report to staff and not council members. ■ Tabled a resolution that would repeal the Audit Review Committee until staff brought back a resolution to replace it. 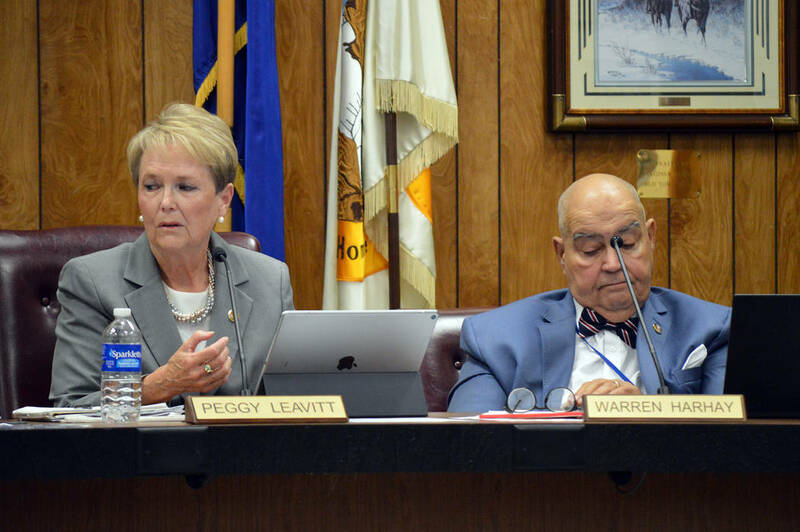 The desired new requirements for the committee include four members with voting power; two of the four would be council members and another would need to have at least five years of financial experience.